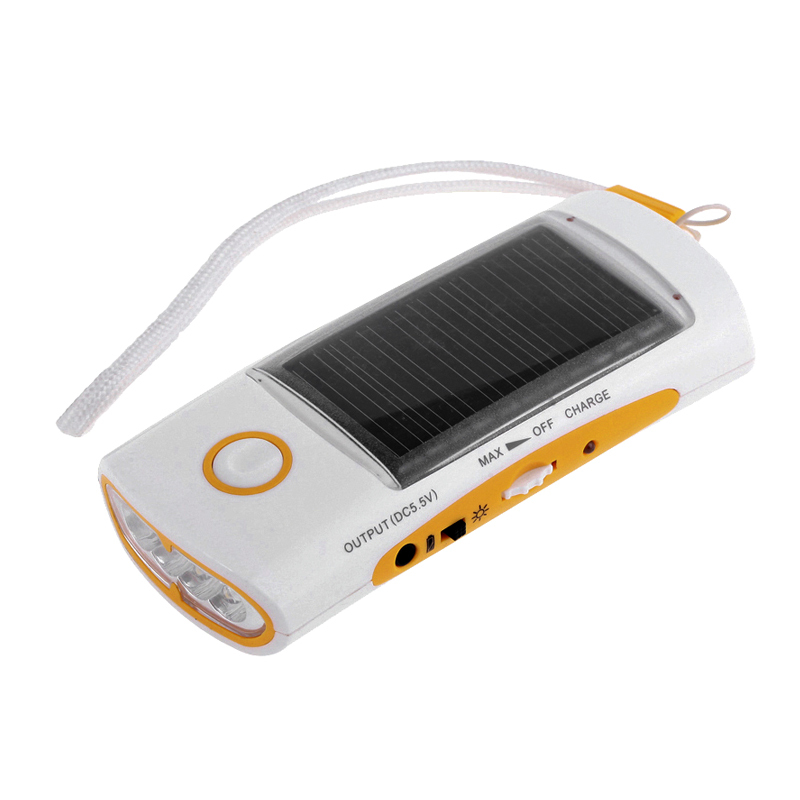 Solar Flashlight Radio is a durable, lightweight & compact, solar charger that powers your electronic devices no matter where you are, with just the power of daylight. A great solution for travel, weather emergencies and on-the-go. 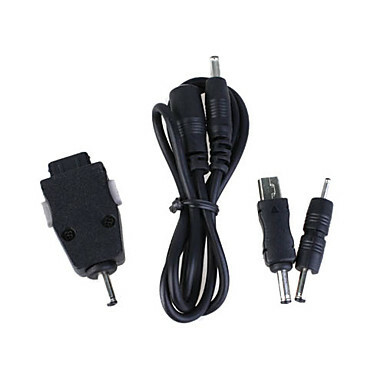 Powers MP3* and MP4 players*, PDAs*, digital cameras* and more. There are two DC power ports (input and output) built into the unit. Reduce your dependency on the power grid and harness the eco-friendly power of the sun. This quality-made Solar Flashlight Radio lets you convert daylight into your own mobile power source for smart power anywhere, anytime. 4 hight brightness LED light with lightweight, compact body with high-charge capacity and long battery life more than 10,000 hours. Charges through solar panel, as well as at home or in the car using AC/DC adapters. Built-in battery will take approximately 8-10 hours to fully charge in direct sunlight.